Summer Camps for Kids in McKinney, Texas! As we learn of other summer camps and activities, we’ll add them here, so make sure to check back often! Each year, the McKinney Convention & Visitors Bureau recognizes one of their tourism partners who has proven a dedication to the city of McKinney’s tourism efforts through bringing people to the city, working with the hotels to book rooms for their visitors, and working with the MCVB who supports these efforts. The MCVB presented their 2014 Tourism Partner of the Year award to the team at Munzee during the annual McKinney Chamber of Commerce Community Awards ceremony, held this year on Friday, Jan. 30. 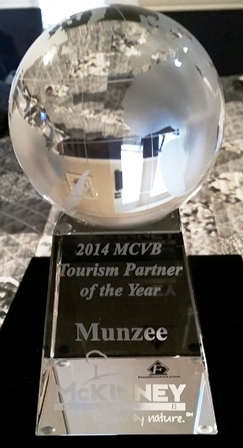 The 2014 Tourism Partner of the Year Award was presented to Munzee by the McKinney CVB on Jan. 30, 2015. The idea for Munzee, a global scavenger hunt app for Smartphone, was born in 2008 but technology to build it wasn’t available yet. In 2011, the geo-locational QR code game was finally launched in Texas – a game in which players scan hidden QR codes using GPS technology via their Smartphones. In the company’s early days, most Munzee players and the games pieces – called “deployments” – were located in Germany and in Texas, California and Michigan. In late 2013, the company, under the direction of a new president and vice president as well as one of the original founders, moved into a tiny second floor space over the Antique Company Mall on Virginia Street in downtown McKinney. They were busy developing new game pieces and strategies as well as growing the size of their team. In Spring 2014, the Munzee team visited with the McKinney CVB staff for the first time. The team also took to traveling the globe, exposing players worldwide to McKinney. The Munzee map kept growing with deployments worldwide, as was the map of McKinney. Many deployments were placed here physically by people visiting McKinney, but even more deployments called “virtuals” were placed here by players from their homes in more than 100 countries. The philanthropic-minded Munzee team also began creating special virtual pieces to raise funds and awareness for various charitable organizations. Munzee’s first campaign raised more than $4,000 for Autism research. Their second campaign that spring was for Ronald McDonald House Charities, bringing in more than $25,000 for that organization. In response to the worldwide “Ice Bucket Challenge,” Munzee created virtual ice bucket pins for their players who in turn “packed McKinney in ice” from all over the world, raising $54,000 for ALS Research. Now in February 2015, Munzee introduced candy conversation heart virtual pins to raise money for the American Heart Association. As coverage of the Smartphone app grew, so did the company’s team, and in September of 2014, they moved to a larger office space on the downtown square. They also opened a convenience store called the Munzee Marketplace in the space formerly occupied by the Garret Art Gallery directly below their new offices. As if opening new offices and a store during the City of McKinney’s largest annual event, Oktoberfest, wasn’t enough to take on, they also hosted their first big local event that weekend, the Munzee Headquarters Oktoberfest Bash and their A-munzing Race. This event brought more than 300 players to McKinney from countries including Denmark, Canada, and Lithuania as well as from multiple states. 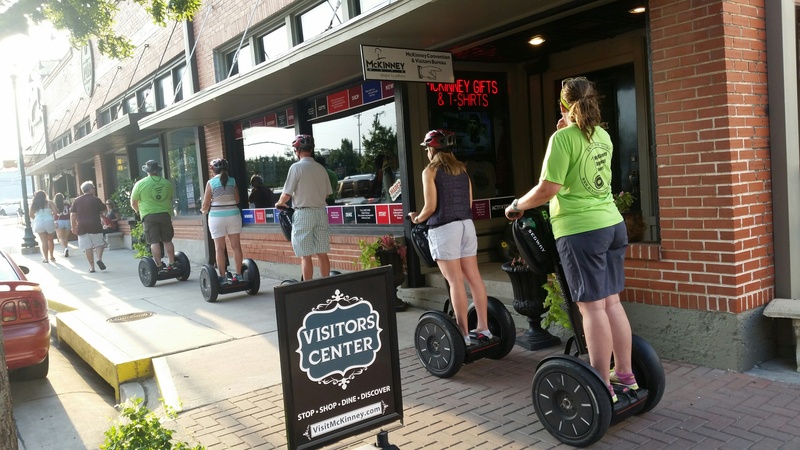 Many of these visitors stayed in McKinney for one or two weeks, taking in all the city has to offer. The Munzee app is played in 190 countries by more than 195,000 players worldwide. There is at least 1 physical game piece deployed on every continent in the world, including Antarctica. And now an update to when this blog was originally written (Friday, Jan. 30): The team at Munzee launched a new app today called Eventzee, available for iPhone and Android platform Smartphones. This app features “events” involving photo scavenger hunts of every day things found in their players’ communities. Players snap photos with their phones of the items on the clue list and submit them for points. At the end of each event, some of the players will win prizes. Available from the Apple Store and the Google Play Store. Below are some of the activities taking place in McKinney for New Year’s Eve 2014. Doors open at 7:30 p.m. Dinner and music by the Maylee Thomas Band start at 8 p.m. $100 per person includes dinner buffet, party favors, champagne toast at midnight and breakfast buffet. 6633 Virginia Parkway, Suite 102, in Adriatica of Stonebridge Ranch, McKinney. Make reservations ONLINE, by calling 972-672-5739 or by email. The buffet includes Prime Rib, Pork Tenderloin, Atlantic Salmon, Smoked Pork Belly, Shrimp Enchiladas, Lobster Pasta, Shrimp Cocktail, Caesar Salad, Tomato and Onion Salad, Mashed Potatoes, Sweet Potatoes, Scalloped Potatoes, Roasted Vegetables, Mexican Street Corn, Black Eyed Peas, Texas Pecan Pie, Crème Brulee, Assorted Cheesecake Bites. Reservations are required. Enjoy a champagne toast at midnight with a balloon drop. Live music in the lounge by Missing 3. 107 N. Kentucky in downtown McKinney. 214-726-9251. While Mom and Dad are out enjoying a nice date for New Year’s Eve, the kids (ages 6-12) can enjoy a pajama party at Adventure Kids Playcare, 3300 W. Eldorado Parkway Suite 900. 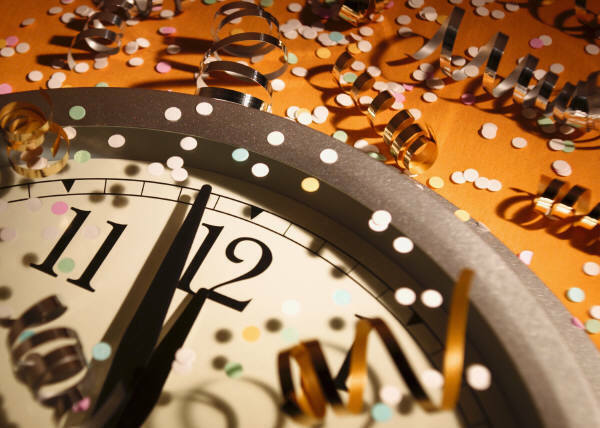 9 p.m.-2 a.m. Reservations fill up fast! 214-491-4088. 6:30-10 p.m. on Wednesday, Dec. 31. 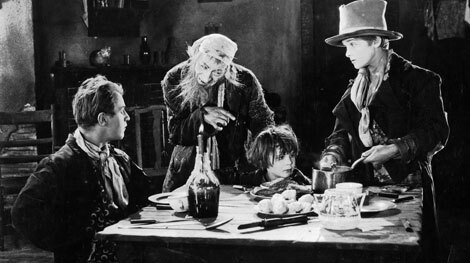 Evening includes a wagon ride to the Western town, a tour of the buildings and the saloon, a plated dinner with two complimentary drinks, and a Murder Mystery show in the Historic Opry House. VIP seats include complimentary champagne toast. The menu features your choice of grilled chicken, oven roasted brisket or vegetarian mushroom risotto, served with roasted potatoes and steamed broccoli, dinner rolls and dessert. Price is $95 per person or upgrade to VIP seats for $25 more. All proceeds support River Ranch Educational Charities, a 501c3 non-profit, that provides scholarships, free services and donations for underprivileged children and those with special needs. Call Storybook Ranch at 972-369-0874 or visit online. 3701 S. Custer Rd. 6;30-7:30 p.m. on Wednesday, Dec. 31, at Our Savior Lutheran Church, 2708 Virginia Pkwy. This service will be a dinner, devotion, and communion served in the Fellowship Hall. Seniors can’t pass up McKinney…and for good reason. McKinney was selected as the #1 “Best Place to Live” by Money Magazine, Oct 2014. So this senior did some checking to see why McKinney, Texas earned this prestigious award. Both the city and the county were named for Collin McKinney who signed the Texas Declaration of Independence. Today it is a city of around 145,000 located 30 miles north of Dallas on Interstate 75. The history of McKinney notes the city to be one of the oldest towns in North Texas, dating to 1841 when the first settlers arrived in the region from Kentucky, Arkansas, and Tennessee. Senior visitors will encounter an assortment of specialty shops, art galleries, furniture stores, exquisite antique collections, gifts and home décor and apparel boutiques. Town Lake Recreational Area is an attractive 22 acre lake for fishing or for boating. Senior hikers, the Lake is surrounded by a 1.3 mile hike and bike trail. So as you are cruising around Dallas, swing north into McKinney and plan to spend a few days. Seems like something is brewing all year long. Annual Events include Bike the Bricks, Red White and Boom!, Mickey Mantle World Series, Oktoberfest, Dickens of a Christmas (now called Home for the Holidays…A McKinney Christmas) and the Heritage Guild Holiday Homes Tour. If you are into historic sites, like me, McKinney is home to over 1700 historic homes and buildings and an historic Courthouse Square. Chestnut Square Historic Village is a collection of six historic homes, a replica of a one-room school house, chapel and store on 2.5 acres just south of the downtown McKinney square. The grounds also include a blacksmith shop, smoke house, and beautiful chapel and reception gardens. The buildings include period artifacts showing how people lived in Collin County from 1854-1920.